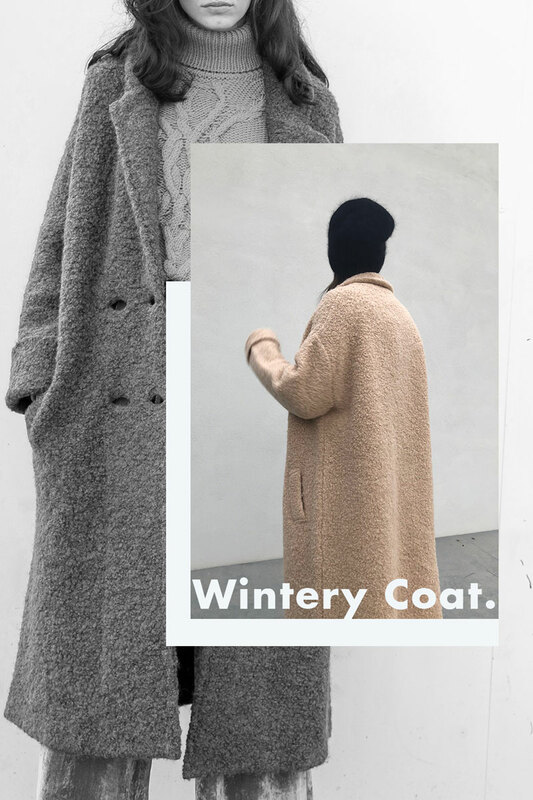 Warn, enveloping and soft: Roberto Collina’s bouclè overcoat is perfect for protecting you against the colder temperatures on their way, without losing any of your style. Hug me tight coat: more than an overcoat, it is a true embrace that wraps you up in the most intense sensations of wool and aplaca, that chooses colour to stand out and its inherent softness to make a difference. A must-have double-breasted coat – available in orange, beige and teal – with its soft,relaxed shape, just perfect for all shapes; large buttons and wide sleeves giveit a cosy twist and add a touch a character to every look. Such a trendy garment that you reallycan’t say no!